I made 7 blocks this month. Like so many blocks, when I first see it, I don’t feel the love. 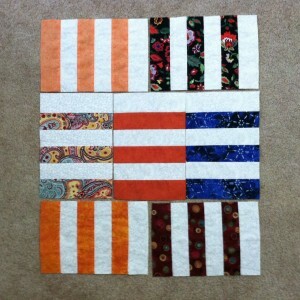 Then when I see a bunch together, I think WOW, I love the quilt these blocks will make! I was thinking the same thing…great layout idea!